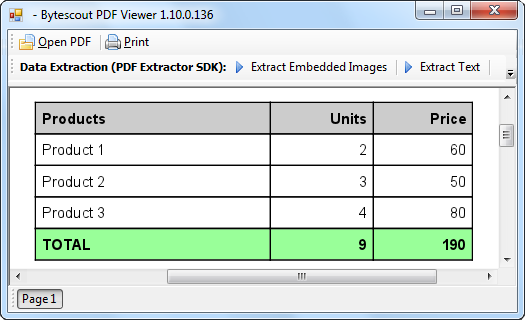 These samples show how to extract PDF table to XML (eXtensible Markup Language) file using Bytescout PDF Extractor SDK. 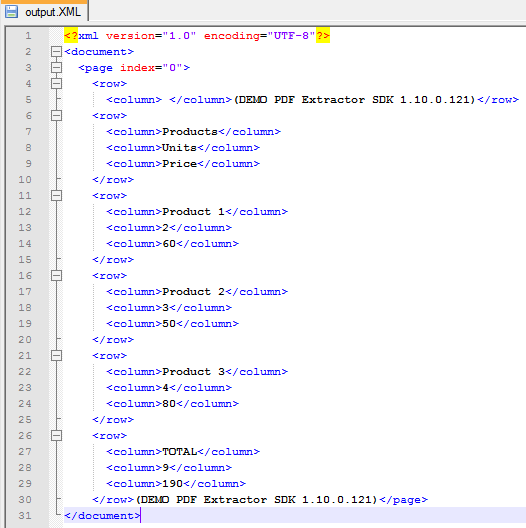 In these screenshots you can see input PDF table and output XML file with data extracted from the table. MsgBox "Data has been extracted to 'output.xml' file."